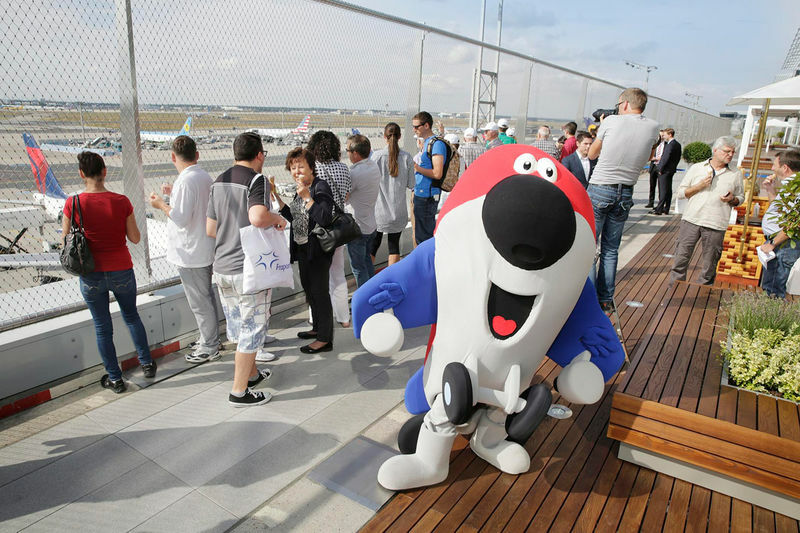 Enjoy a fascinating view of the bustling activity on the apron and aircraft taking off and landing out on the airfield! 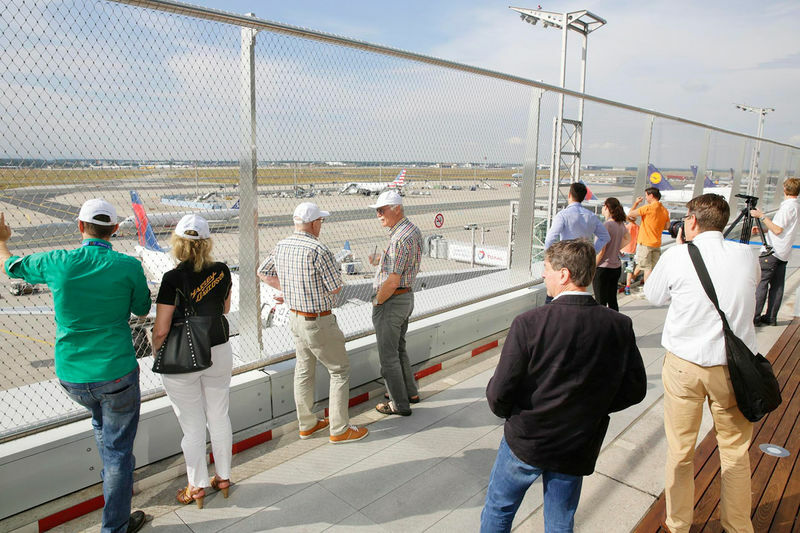 One of the Rhine-Main Region’s most popular attractions for tourists and residents is the Visitors’ Terrace at Frankfurt Airport, which features comfortable seating, partly in the sun and partly shaded by pavilions. 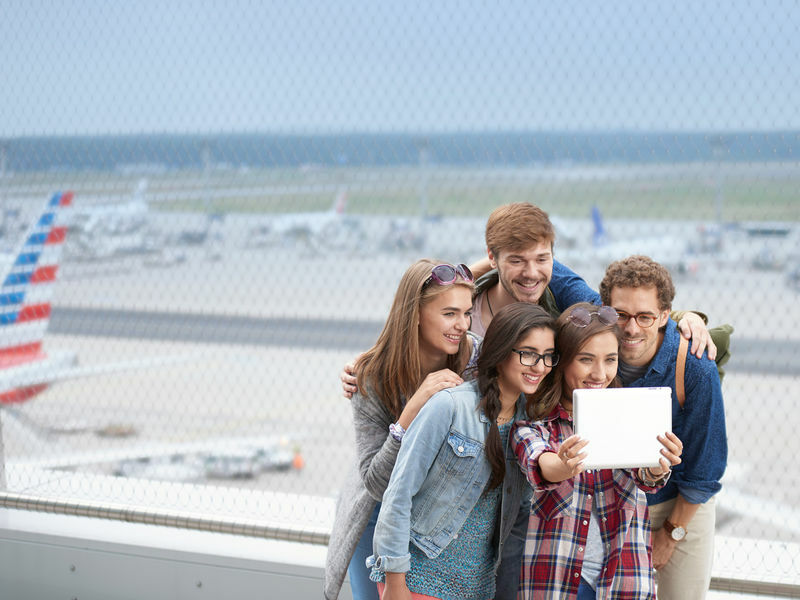 Since the terrace is now enclosed by a wire mesh fence with small gaps for taking pictures, it is no longer necessary for visitors to clear a security check. 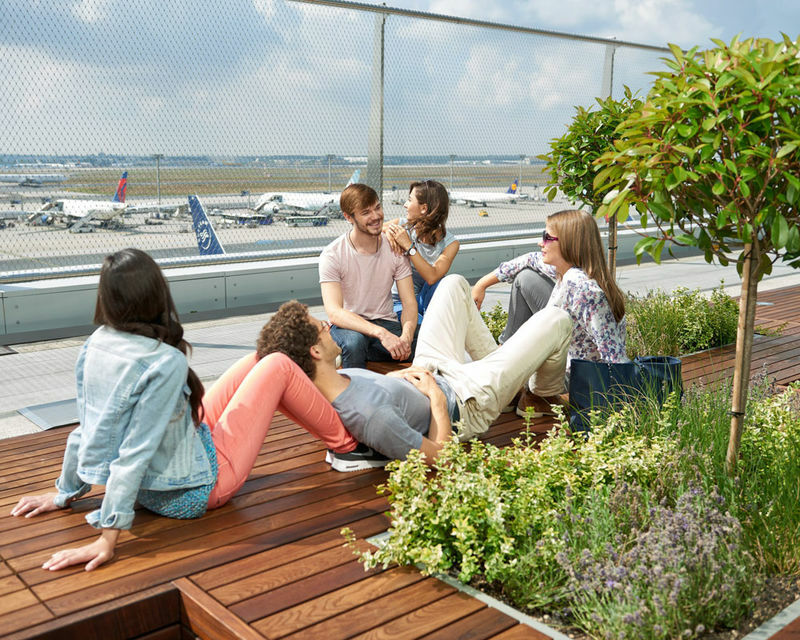 The Visitors' Terrace is located on Level 4 of Terminal 2 next to McDonald's in the Food Plaza. Please follow the signs to the Shopping Plaza in Terminal 2, and from there up to the Food Plaza and Visitors' Terrace.